You Cain’t Say No to Oklahoma! 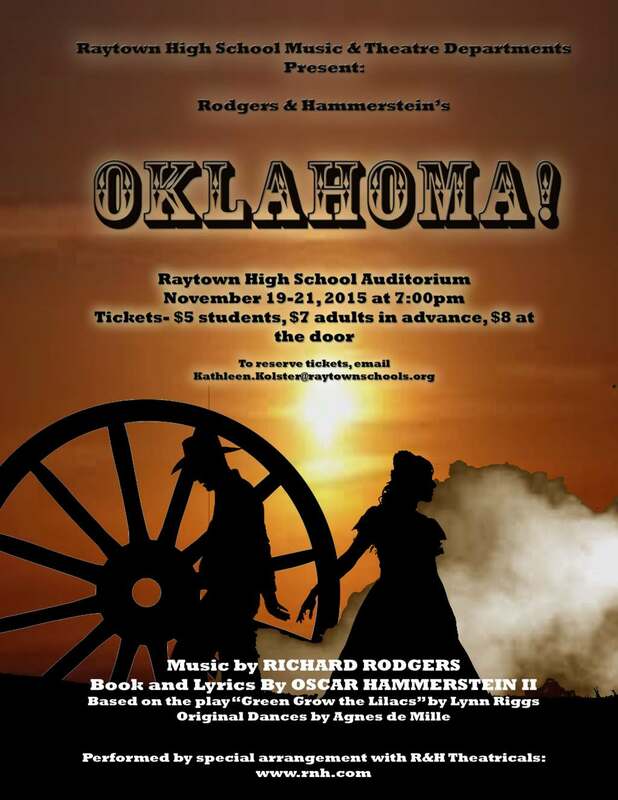 “There’s a bright golden haze on the meadow,” sings Curly as the audience gets their first glimpse of Oklahoma!, the first musical of the 2015-2016 school year produced by the Raytown High School Theatre and Music Departments, running Nov. 19-21. Oklahoma! is a lively and hilarious musical that premiered on Broadway on March 31, 1943, and has won numerous awards, including the Olivier awards for Outstanding Musical Production, Best Set Design, and Best Theatre Choreographer. The show is set in early 1900’s Oklahoma, before it was made the 46th member of the Union, and follows the story of Laurey, Curly, and their friends as the Box Social approaches. Featuring songs such as “Oh, What a Beautiful Mornin’,” “Kansas City,” “Cain’t Say No,” “Out of My Dreams,” and “Oklahoma!,” this show is full of musical numbers to remember. The main cast includes Zach Kujath as Curly McLain, Emma Drace as Laurey Williams, Julianna McCarroll as Aunt Eller, Caleb McCarroll as Jud Fry, Raynesha Green as Ado Annie, Braden Best as Will Parker, Israel Hanke as Ali Hakim, and Richard Jones as Andrew Carnes. The Raytown High School theatre, under the direction of Mrs. Katie Kolster, continues its season with The Odd Couple showing Feb. 25-27, 2016, and Hairspray, April 14-16, 2016. Tickets are available for purchase at the box office before and after school, or before the performance. 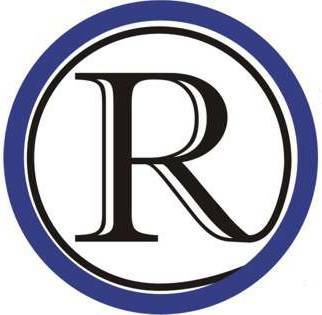 To receive the advanced rate, one may also email Kathleen.kolster@raytownschools.org to reserve. Students: $5. General Admission: $7 in advance/reserved, $8 at the door.